^Yes, they are fake. 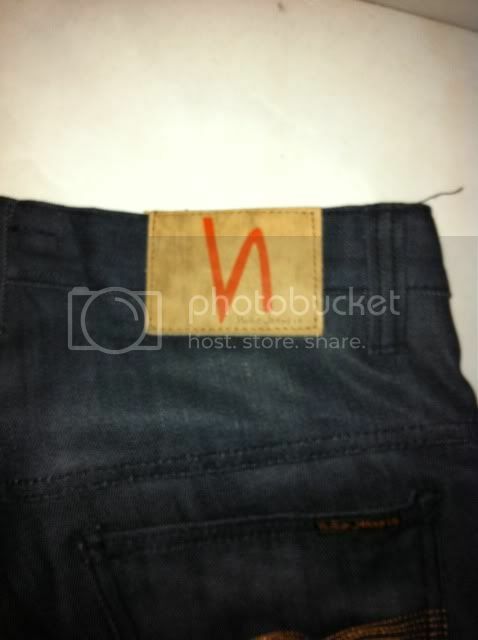 Nudie never did such patches and the stichting + logo on the backpocket looks horrible too. Definitely. Right, i only recalled the full black patches the do on the Dry Black coated for example. nevertheless, the fake patch look hilarious. Hi guys i was wondering if you guys could tell me whether this was fake or not. how so bro? care to elaborate so i can learn? I do like the colour though to be honest. Yeah, whoever faked these actually did a decent job. Everything is just a little bit off... especially the rivets. This photo shows both pairs' left leg-tube. but runs towards the left side on the legit pair. 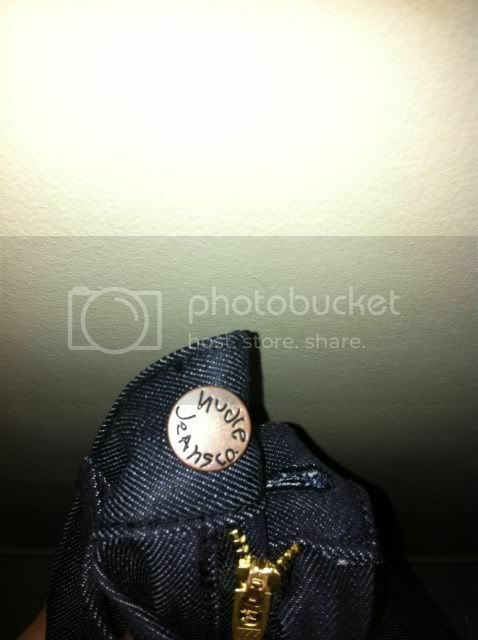 as well as how different the inside-tags are to each other! Difference(s): Legit pair's stitchings (especially the diagonal one) are clearly much more well done, and again, visible color difference. Difference(s): Need I say more? 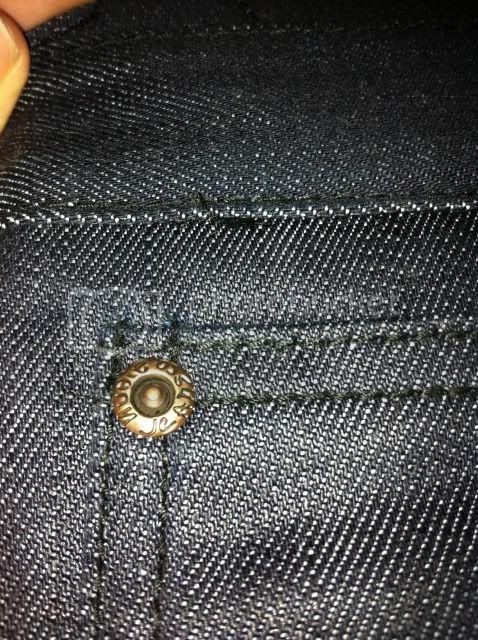 Differences on how the piece of cloth is stitched to each jeans. Difference(s): Here, the sub-par quality of the fake pair is clearly evident next to the beautiful, high-quality, indigo-rich, and heavy looking legit pair! Great post! It's scary how well-done that fake is, you would never really know that it wasn't Nudie unless you looked closely. fake is better quality ?? LMAO whoever said that clearly hasn't seen an actual fake lol. They're of good quality yeah, I've seen one and worn one. 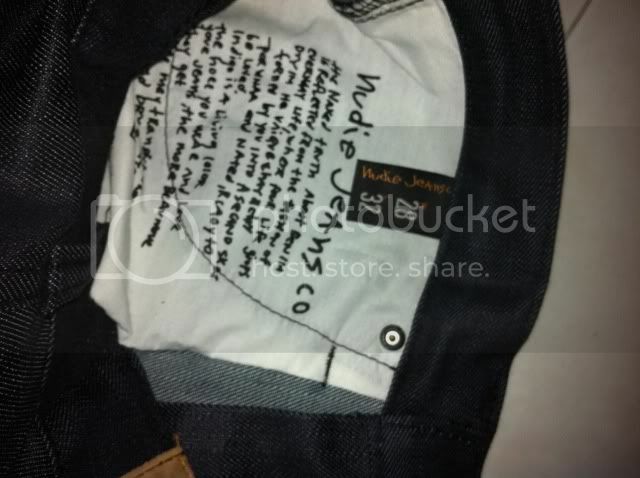 But obviously legit Nudie Jeans are so much better. The fake ones don't stretch as well, and they don't really shine under light as well. 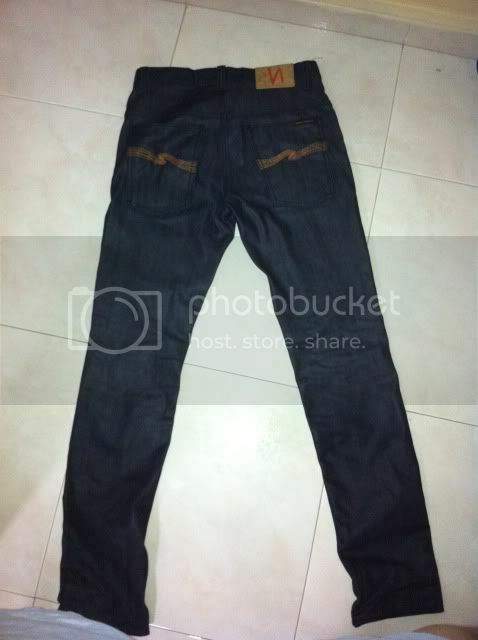 Can't really make a fake of something as awesome as Nudie Jeans. honestly seeing a lotta high quality looking fakes out there. dose bill hallman sell legit nudies???? According to the Nudie site they're the closest official seller of the brand to where I live (Atlanta), so definitely yes. Really, I don't get why so many people are worried about fakes. As long as you buy from reputable sites it's not going to be an issue. How does one even tell the difference between a fake/real pair of nudies? 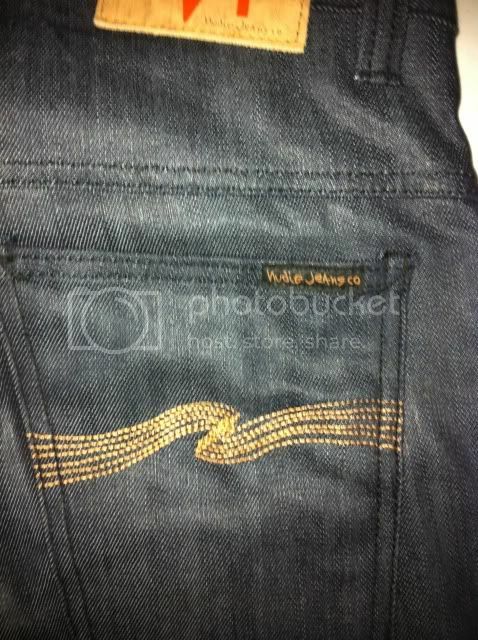 A few details that only real nudie's have..
Yeps look real, only the V-shaped yoke i havent seen before on Nudies, what model is this?